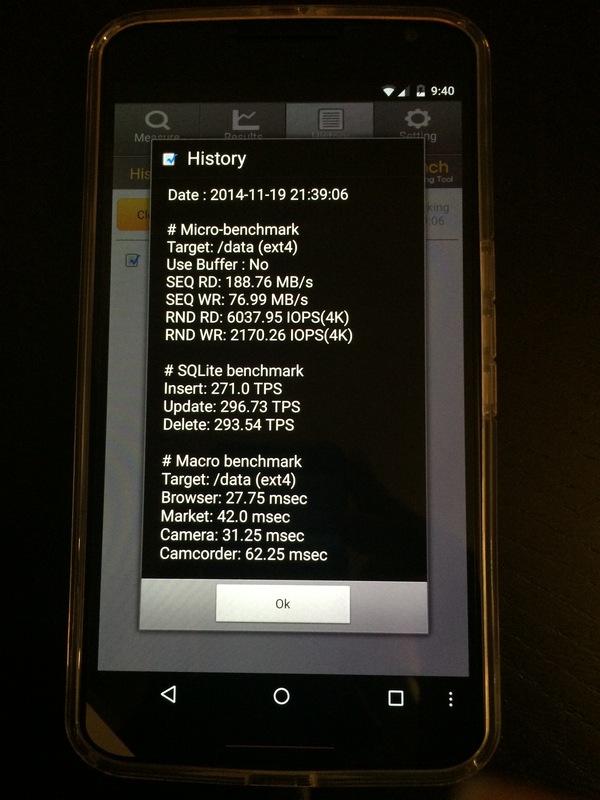 Benchmark test show that the Nexus 6 performance is outstanding and nothing else was expected from Google’s new flagship smartphone running Android 5.0 Lollipop. One of the main improvements over Lollipop is the device encryption or so, you would think. Before disabling encryption, the SEQ Read speed was 65MB/s after 188MB/s, SEQ Write was 50MB/s after 76MB/s, RND Read was 6000 IOPS (lower = better) after 3500 IOPS, RND Write was 1800 IOPS after 2170IOPS. Don’t boot android, write your most important stuff down and then continue without backing it up.